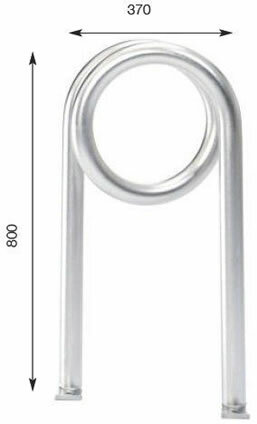 Our stylish Safety Pin stand works well where space is limited and where an interesting and unusual design is required. Fixing dimensions: 370mm wide x 800mm tall (above ground). 50mm tube o/d diameter, 2.5mm wall thickness.